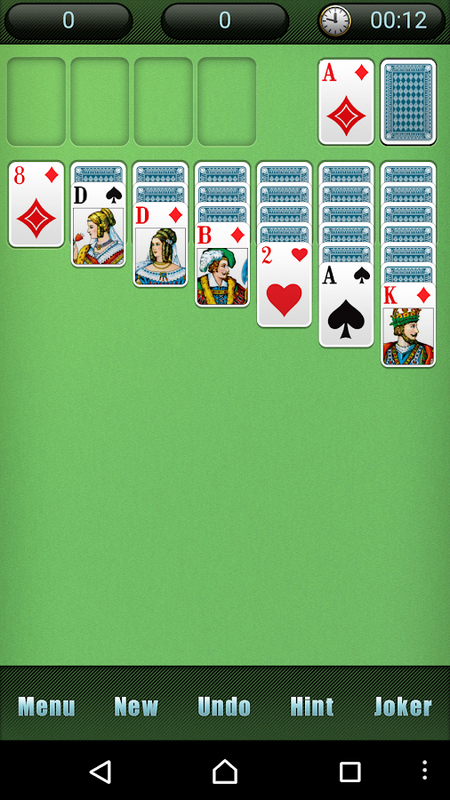 The solitaire card game from LITE games -the best, free solitaire game is now out for Android. KlondikeSolitaire became world famous as a part of a well-known operatingsystem in the age of the PC. The name of the game is to move all cards from the bottom deck intothe decks above - in ascending order from the ace to the king.Whoever completes all four decks of each color wins. The free app for Android is perfect for fans of all the game’svariants including Solitaire, Patience, or Klondike games. Download the free Patience app for Android and start playing onyour smartphone or tablet today!